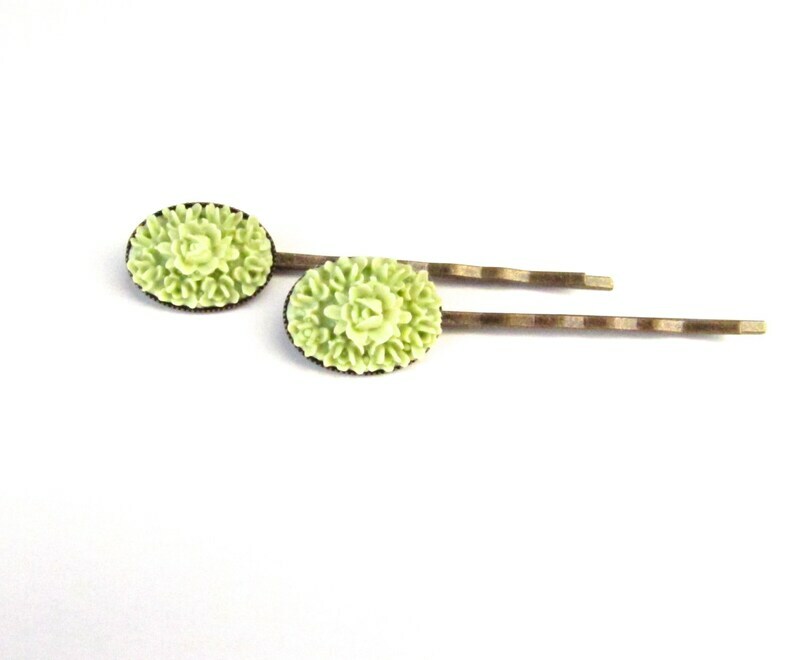 Dainty flower bobby pins in a light lime green color. 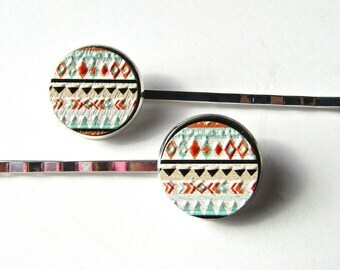 Resin oval cabochon mounted in a bezel bobby pin. Flower portion is approx. 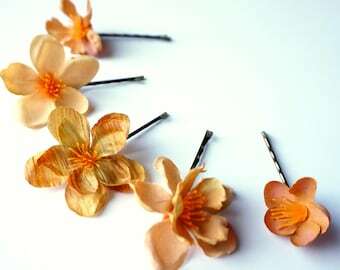 3/4" by 1/2", on a 2" bobby antiqued brass bobby pin.